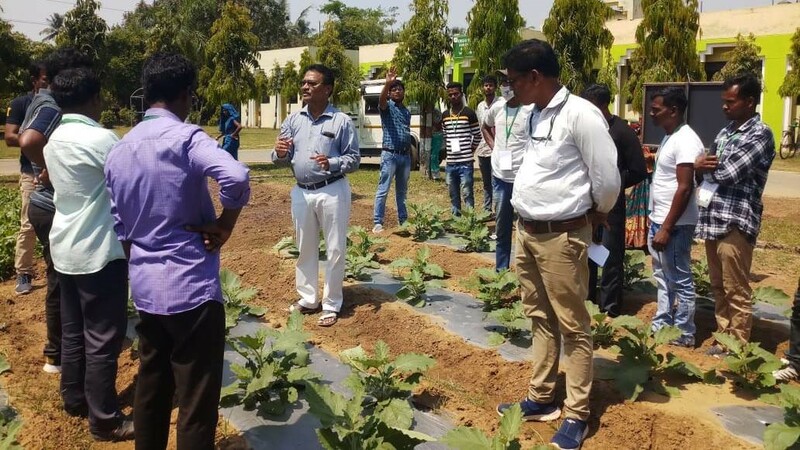 CHES (ICAR-IIHR), Bhubaneswar organized three days hands on training on “Gardening Techniques” jointly with Plant Lovers’ Association, Bhubaneswar during 12th - 14th March, 2019. The training programme was inaugurated by Dr. V.P. Upadhyaya, Ex- Director, Ministry of Forest Environment and Climate Change (Eastern Region Officer), Government of India. In his inaugural address Dr. Upadhyaya highlighted important issues of climate change and water scarcity, and how gardening could be a great help in answering these challenges. Speaking at the inaugural function, Dr. G. C. Acharya, Head, CHES, Bhubaneswar highlighted mandates and achievements of CHES, and objective of the training programme. A total of 28 trainees got enrolled in this training programme and were imparted with various skills on gardening, viz., plant propagation methods, soil media preparation, organic fertilizer and pesticide preparation, roof top gardening, indoor gardening, nursery management, organic farming etc., through classroom lectures and practical. Valedictory function was held on 14th March, 2019. Dr. G.C. Acharya, Head, CHES and Sri. Pratap Mahapatra, Vice President, Plant Lovers’ Association felicitated the trainees with certificate and plant propagation kit. The training programme was coordinated by Dr. Deepa Samant, Scientist, Sri S. Majhi, Technical Officer and Dr. P. Srinivas, Principal Scientist, CHES, Bhubaneswar.